If Holland is an ocean of arm waving EDM producers and chin stroking deep tech-house tweakers there is possibly somewhere an island that is the home for the misfits and forward thinkers not involved in either scene. This recently discovered place is 'Dutch Disco'; a home to some of the country's funkier and more innovative musical inhabitants. As a new generation of Dutch producers tends to bring in new flavours, the Dutch Disco's inhabitants have brought a taste of their isolated paradise by way of this nine track album. The collection spans from the all out feel good vocal house of Auxiliary Tha Masterfader to the jackin' dark disco vibes of 2CV, l'Equipe Du Son and Mason through to the new rave madness of Nobody Beats the Drum and the Italo of Doctr, Machinegewehr, Teddy's Philly Sound and Pin Up Club. The first colonists of this new place are all here with different shapes, sizes and sounds. This is not a disco album, but a postcard from a place with a dark Dutch Disco state of mind. 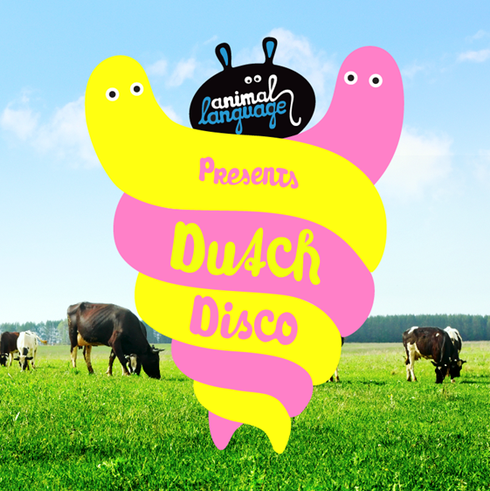 ‘Animal Language Presents Dutch Disco’ is already supported by the likes of Digitalism, Likelike, Ante Perry, Sharooz, Blake Jarell, Larry Tee, Hoshina Anniversary and Giom.